Find the perfect hair loss solution for you. 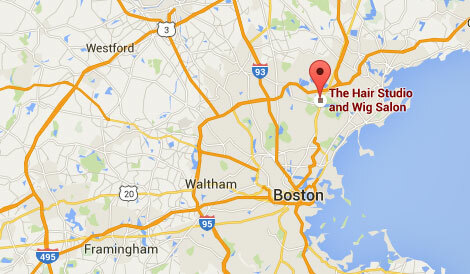 The Hair Studio & Wig Salon in Saugus, Massachusetts is a unique Boston wigs and hair loss solutions studio created for men and women experiencing thinning hair and all forms of hair loss, regardless of cause. Founded by Sylvia Caruso, who draws on her many years of experience in helping individuals with hair loss, our Boston Women’s Wigs and Men’s hair replacement studio helps clients of all ages with the emotional and practical needs of clients experiencing alopecia hair loss, cancer treatments and other hair loss conditions.